I spoke Icelandic, at my last Icelandic class. I saw the world more clearly, due to new glasses. I watched Laputa:Castle in the Sky at the BFI, and saw an island fly and robots tending gardens. I planted apple trees and chased butterflies, amongst the falling blossom, while playing Animal Crossing. I found a space invader and the Tate Plane in Brixton and sipped hot chocolate in the Chocolate Museum. I wandered around St James' Park and saw bluebells, pelicans and forget-me-nots. I walked around Alexandra Park. In Roehampton, I saw a lucombe oak, and then walked through Richmond park amongst the deer. 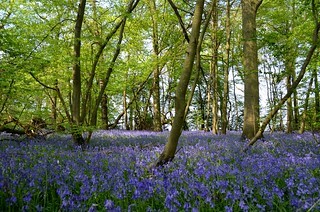 I saw wonderful bluebells in Kings Wood in Kent. I wandered around Scadbury Nature Reserve, amongst old trees and more bluebells. 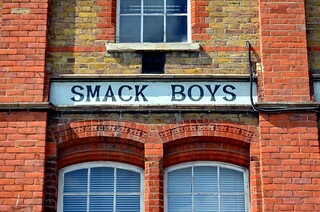 I walked on the beach in Ramsgate and saw the Smack Boys Club, and stared out to sea. 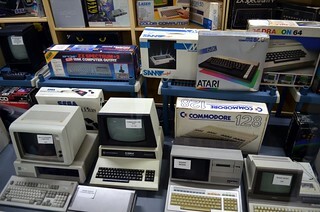 I also visited the Micro Museum with lots of old computers and consoles. I listened to talks on Interaction design on the outside at IxDa. I looked at cool inventions at the Designs of the Year exhibition at the Design Museum. I ate Kinder ice-cream and mascarpone and fig ice-cream. I went to Barnes and saw the Barn Elms Plane. I made a necklace glow. I met my fuelband goal on every day of the month. I was very happy when my boiler was fixed, after spending a week without hot water or heating. It was the morning and the snails were crawling, through the mist. "Stay in familiar surroundings," she was told. 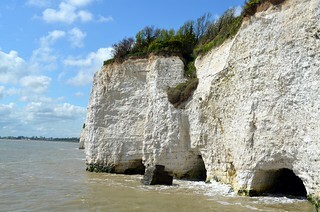 She ate tartiflette and drank pink lemonade and went to see the mermaids after that. In conclusion: I mostly just walked around parks and saw trees and bluebells. How much of an actual museum is the chocolate museum? The website makes it look like a chocolate shop with a single "museum" cabinet. Not that this is a bad thing. It is small, but more than just one cabinet. There are various information boards and some objects, and a video. Plus it smells great and the hot chocolate is good. Good hot chocolate is reason enough to visit somewhere anyway!